Home / Learning Centre / Great Gardens Begin With Chickens! There’s nothing like a fresh tomato picked right off the vine, mmmmm! Fresh homegrown vegetables and herbs are healthier, contain more vitamins and minerals, and are tastier by far than anything you can purchase at the local market. Add chickens into that mix and say hello to dark nutrient rich garden soil, a weedless wonderland of bounty, an insect free gardening zone, a rowdy soil mixing rally and vibrant delicious vegetables chock full of good for you vitamins and minerals! 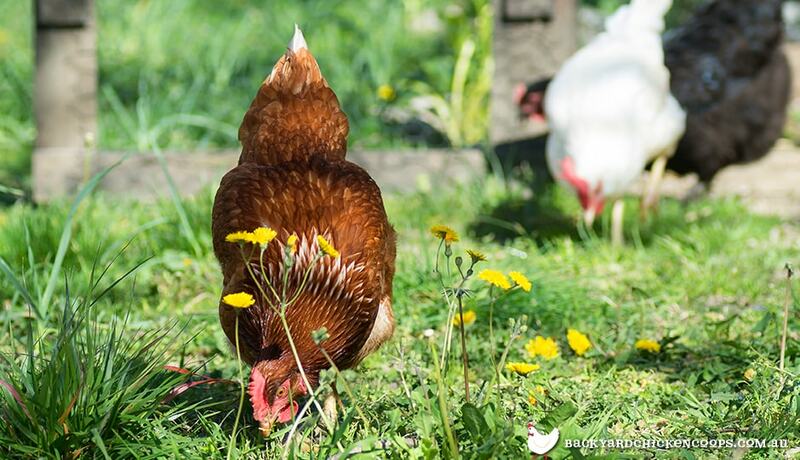 Don’t forget your pretty flower gardens though- flowering plants too can reap the rewards of a strong soil foundation brought to you by none other than, a small backyard chicken flock! Great gardens do begin with chickens! Chicken manure gets an A+ rating for helping gardeners all around the world enrich their soil with vital nutrients for growing vegetables a plenty. With a flock of chooks wandering around, essential nutrients such as nitrogen, phosphorous and potassium will be plentiful. Incorporating these three soil enriching powerhouses into your garden is easy. Simply collect droppings and soiled bedding daily, add to your compost heap and let nature work its magic! Creative composting is easy as pie when you’ve got chooks! Adding organic matter, such as well-cooked chicken manure, to your garden soil yields many benefits-better moisture retention, improved soil aeration and drainage, increase in earthworm inhabitants, and a more nutrient friendly atmosphere all work together to produce healthy hardy vegetables. Also, by offering your flock kitchen scraps and leftovers you’re further enriching the quality of their waste; therefore, improving the nutrient content and quality of your compost! Chickens devour weeds! Fact! No more mixing up messy homemade concoctions or worrying about applying chemically dangerous weed killers. Yahoo! Simply letting your chickens loose inside the garden fence on a regular basis will definitely keep weeds at bay. And, as an added bonus, chickens peck seeds, wait for it...weed seeds! One word of caution here though. Please wait until your fragile young crops have developed to the point that a little scratching or pecking won’t stunt their growth or worse yet, yank them out altogether. 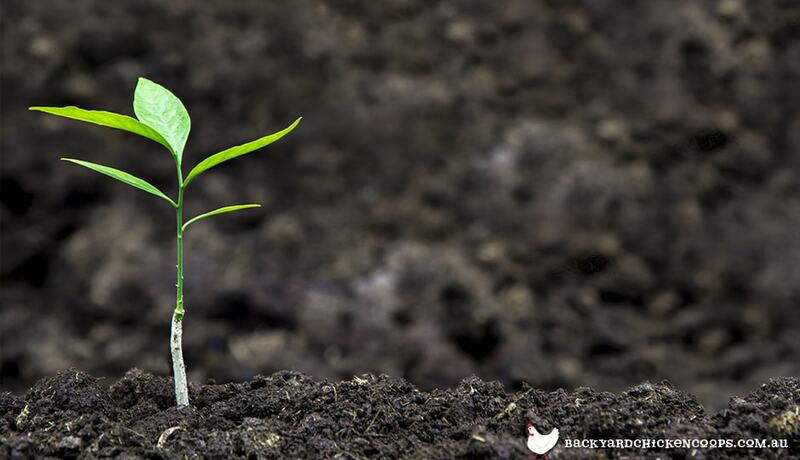 A good rule of thumb is to allow plants to reach a height of about 30 cm give or take or wait until seedlings have taken root- a gentle tug should reveal readiness. Other options for protecting fragile new growth is to cover your seedlings with plant cages, netting, little bell shaped greenhouses a.k.a. cloches, or if you have a larger garden, create a barrier with some electric poultry fencing or keep your veggie patch safe from cheeky chooks in a garden enclosure like this one. Flap-Happy Bug Eaters on Duty! Chickens will also devour any and everything that flies, buzzes, stings, crawls, and just plain annoys! Ah, paradise! With your chooks on duty, you can freely tend your homegrown beauties, watering, pruning, and admiring whilst bugs are kept at bay, all without you having to lift a finger. Small Chicken Feet Will Mix The Soil For You! Chickens scratch! It’s just a fact of life. So, why not put that scratching power to work for you in your garden. While your chooks are happily scratching away in search of tasty treats, behaving as nature intended, you get the added bonus of free labor! Definitely a win-win situation! Take advantage of this no sweat equity soil mixing in spring, when preparing your garden soil for planting and again in autumn, when adding fresh compost following the harvest. Vegetables and herbs grown from nutrient rich garden soil, sans chemicals, are a delight to serve with meals, as well as, share with family and friends. You have the peace of mind that comes from knowing where your food came from and how it was fertilized. Better yet, you know the bug catchers personally! No need for harmful garden pest sprays when you’ve got a dozen sharp eagle eyes on the job! 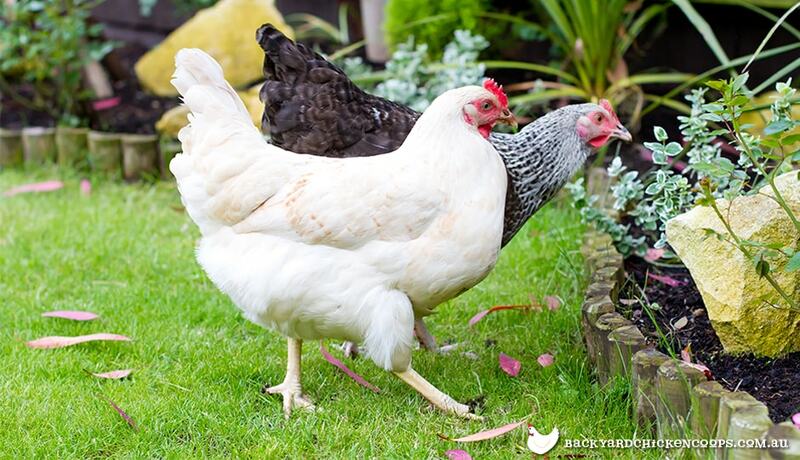 Great gardens definitely begin with a flock of chickens in your backyard! Now, while your feathery friends may at times get a tad bit too flap-happy with scratching and bug eating, inadvertently uprooting a fragile seedling or nipping a little bit of leaf along with a bug, chickens are sooooo good for your garden! Chickens in your garden = health, happiness and a hardy harvest! Hooray! There is some debate among backyard chicken keepers regarding allowing chooks to wander freely in vegetable gardens, as the nitrogen content present in their droppings can burn if dropped directly on plants. This is easily solved by covering plants with cloches, wire cages, etc. as mentioned above, which will greatly hinder your birds’ access to susceptible plant targets or simply rinse off any droppings with your garden hose! So if you’re a novice gardener or just need some egg-cellent advice about adding chickens to your backyard, please contact us via phone or at sales@backyardchickencoops.com.au and we’ll be flap - happy to chat with you!